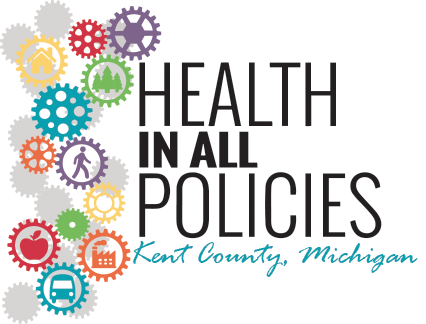 The Kent County Health Department is advancing Health in All Policies (HiAP) throughout Kent County and we need your help! Health in All Policies Learning Labs are workshops that include resources, tools, community examples and a call to action. Kent County Health Department’s (KCHD) mission is to serve, protect, and promote a healthy community for all. KCHD has worked diligently over the past several years to make staff and our community aware of the inequities in health. Health equity, diversity and inclusion are integrated into our programs, services, policies and strategic plan. A guiding principle of the Kent County Health Department is: Focus on Equity. We believe in a commitment to achieving health equity in the Kent County community. 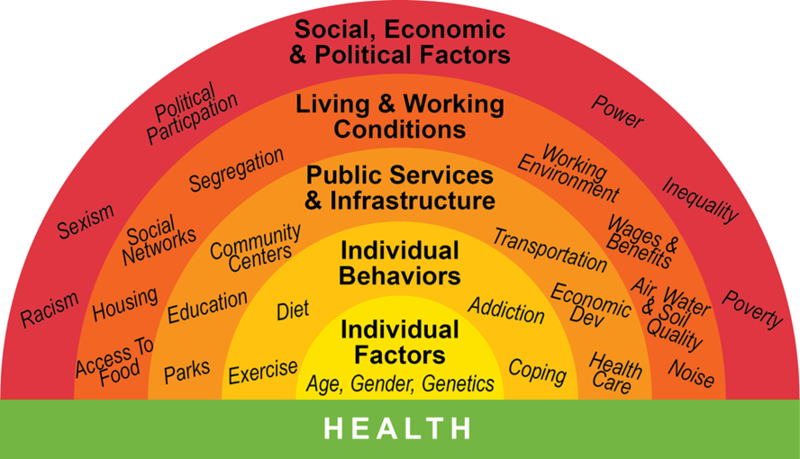 This includes Health in All Policies (HiAP), which is defined as a change in the systems that determine how policy decisions are made and implemented to ensure beneficial or neutral impacts on the determinants of health. What is Health in All Policies? Why Does it Matter? Health in All Policies is not a new concept. It builds on a long public health trajectory of successful collaboration (e.g., improved sanitation and drinking water quality, reduced tobacco exposure, reduced lead exposure, water fluoridation, requiring the use of seatbelts and child car seats). HiAP efforts are consistent with the 3 core functions of local public health and the 10 Essential Public Health Services. 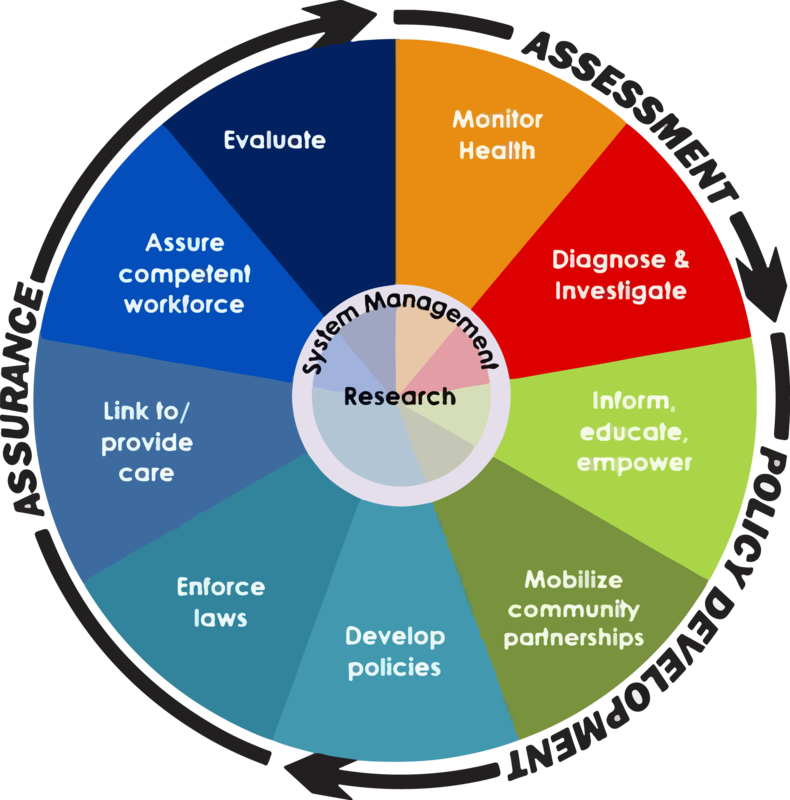 HiAP aligns with public health’s role in assuring population health through policy, systems and environmental change. HiAP can be implemented as a community or public health practice. Health begins where people live, work, learn and play. The factors affecting community and individual health go beyond access to care and individual choices. The choices people make are often shaped by the choices people have. 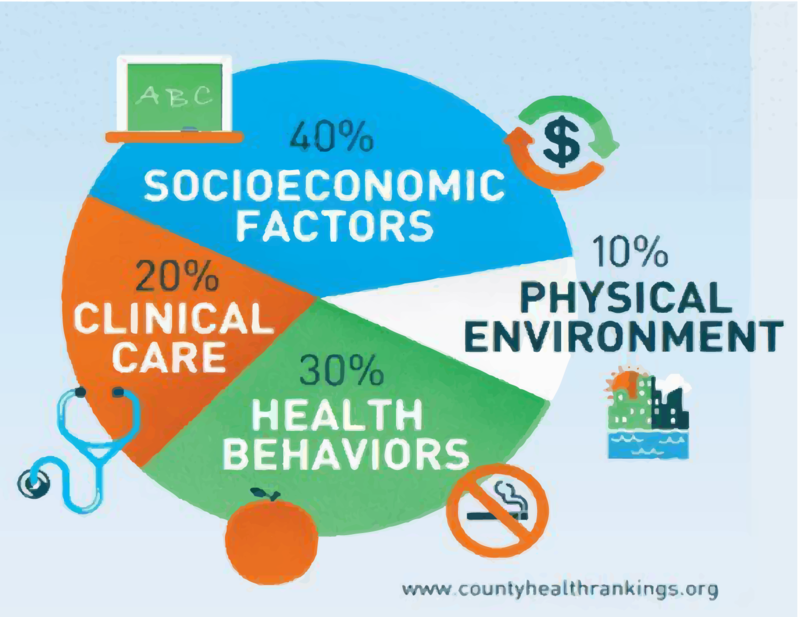 Over 50% of our health is determined by social and environmental conditions (County Health Rankings). Health in All Policies is an integrated and comprehensive approach to bring health, well-being, and equity considerations into the development and implementation of policies, programs and services of traditionally non-health-related government systems or agencies. Inspired by the above definition and other research, communities across the U.S. have started implementing a HiAP approach to improving health through areas of policy, funding decisions and initiatives untraditionally connected to health.